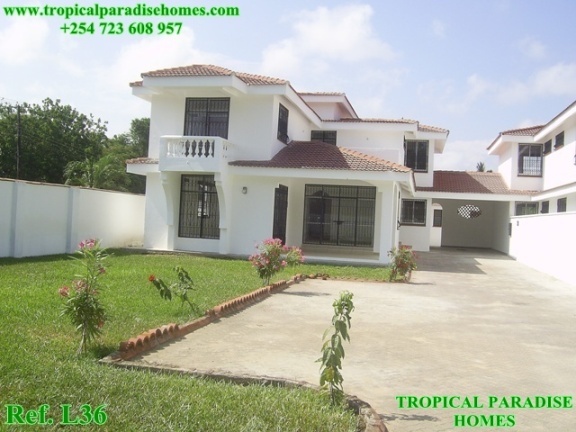 Enjoying peaceful surrounds are these executive 4 maisonettes each going for Ksh 33 Millions. They are located in Nyali Green Wood and built on 1/2 of an acre where each lies on 1/8 own compound. Features include: own compound, 4 spacious bedrooms all ensuite, SQ, perimeter wall and a beautiful mature garden.